September 27, 2016 B.E/ B.Tech, JOBS IN RELIANCE, MCA. 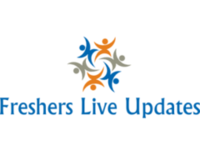 B.E/B.Tech/MCA Fresher’s required for the position App Developer in Reliance Industries Limited at Maharashtra. Interested and eligible candidates who have strong skill sets on desired profile can apply online for the requirement with the link given below. Find the job description, eligibility criteria, exact venue and interview details for more information. Reliance Industries Limited Hiring B.E/B.Tech/MCA freshers 2016 for App Developer at Maharashtra. Candidates who have completed B.E/B.Tech/MCA can apply for this job from Reliance Industries Limited. Candidates can Get the App Developer Post details such as Post name, Number of vacancy, Qualification, Job Description, Candidate Profile, Company Profile and etc., from the table given below. Have good knowledge on Application development. Facebook API, other chat API. Deliver across the entire app life cycle build, deploy, test, release to app stores and support. Working closely with another mobile app developer leading the other platform development. Working directly with developers and product managers to conceptualize, build, test and realize products. Working with the front end developers to build the interface with focus on usability features. Optimizing performance for the apps. Work with senior on the work package effort estimation. Reliance Group is among India’s top private sector business houses serving over 250 million customers across telecommunications, power, financial services, infrastructure, media and entertainment, and healthcare sectors.Founded by the late Shri Dhirubhai Ambani (1932-2002), the Reliance Group positively influences the lives of one in every 5 aspiring Indians across more than 25,000 cities and towns and 400,000 villages.